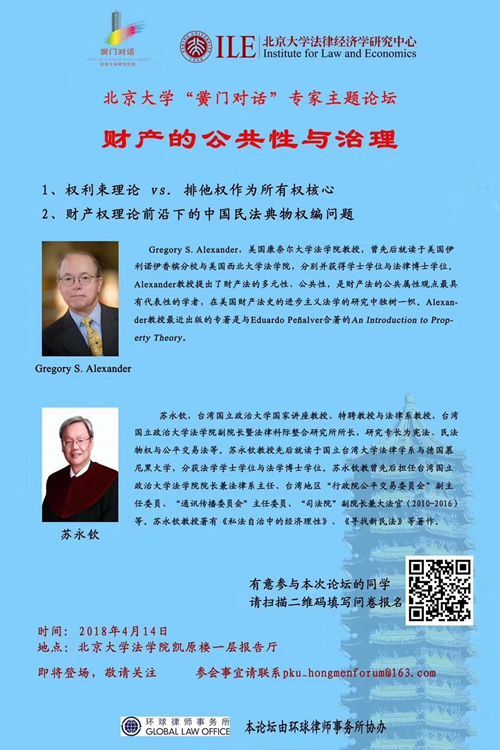 - Su Yongqin - Prof. of National Chengchi University and Deputy Dean of National Chengchi University Law School whose research expertise is constitution, property law and fair trade law. He served as vice president and chief justice of Taiwan Judicial Yuan (2010 - 2016). Prof.'s monographs include Economic Rationality in Private Law Autonomy and Looking for a new civil law, etc.